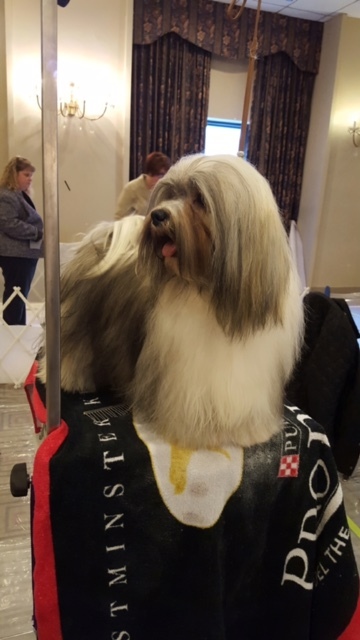 Mila looking beautiful and ready to go at the Greater New York Havanese Club specialty preceding the Westminister show in 2016. 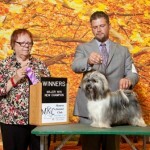 Although, she wasn’t tabbed for award in either, she showed very well among all the older dogs at only 16 months. 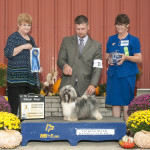 We’re very proud of her accomplishments and her owners and handlers. She’ll be going home to owners now so they can enjoy her! 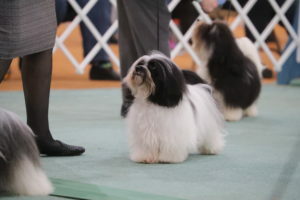 Looking forward with much anticipation to a possible breeding with her and Georgie sometime next year. Mila continues racking up the points completing her Grand Champion and well on her way to reaching the bronze level!!! Mila is now only 1 point from her Grand Championship! 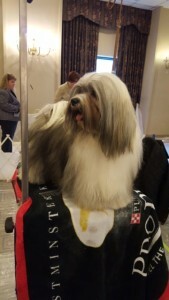 She showed very well during the whole week of Eukanuba cluster shows and the big day on Saturday, taking a Select Award for 4 points in the Tuesday show and winning an AOM in the Havanese Specialty on Friday. All the shows had over 20 very nice specials competing. Very proud of our little girl!! Mila is our first (and only at this time!) Bred By Champion. 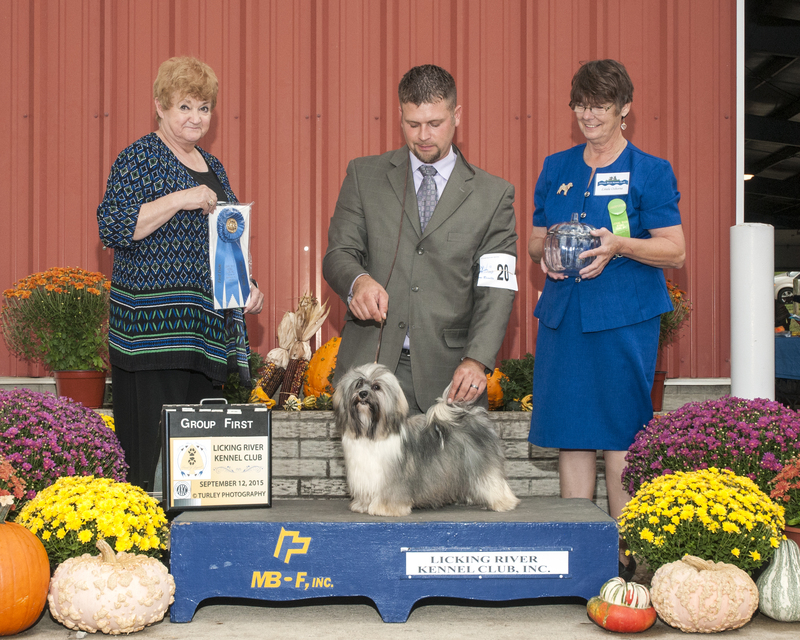 Owned and Loved by Pam and Joe Baird of Camdenton, Missouri (Ozark Sun Havanese) and being very capably shown by Chelsay Paul-Grubb and Nick Grubb. 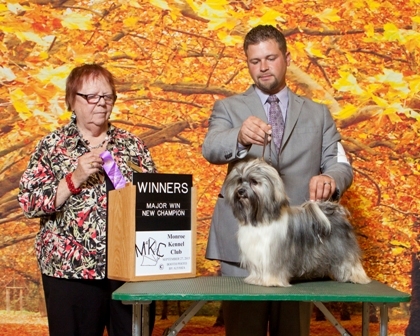 Congratulations to her owner and handlers on a wonderful win and Championship!! This is her win photo from a Group 1 win!! at 10 months! 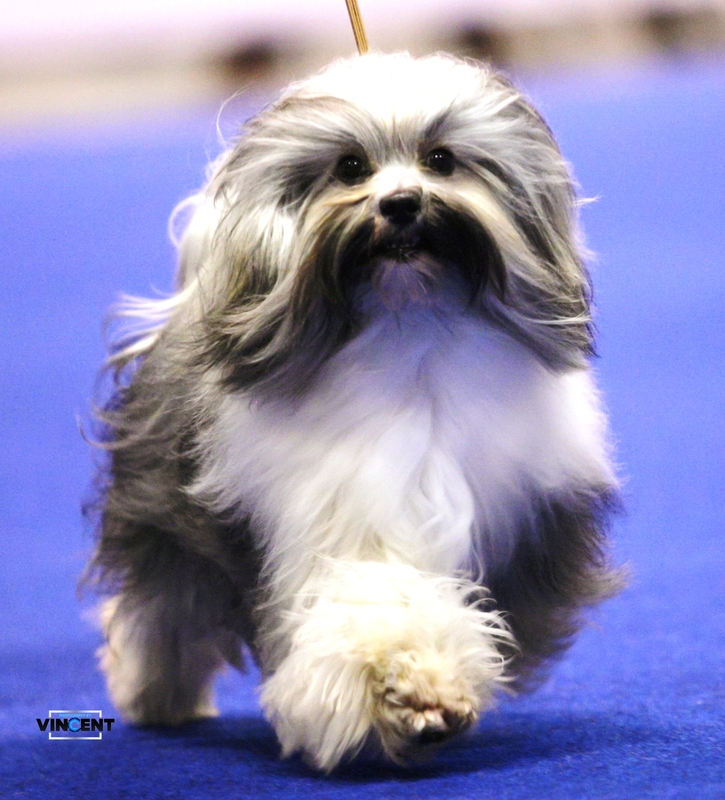 See Mila’s puppy pictures on the puppy page as Bonnie.